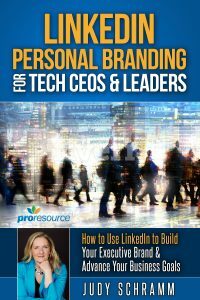 Have you updated your LinkedIn profile to take advantage of the changes LinkedIn made earlier this year? 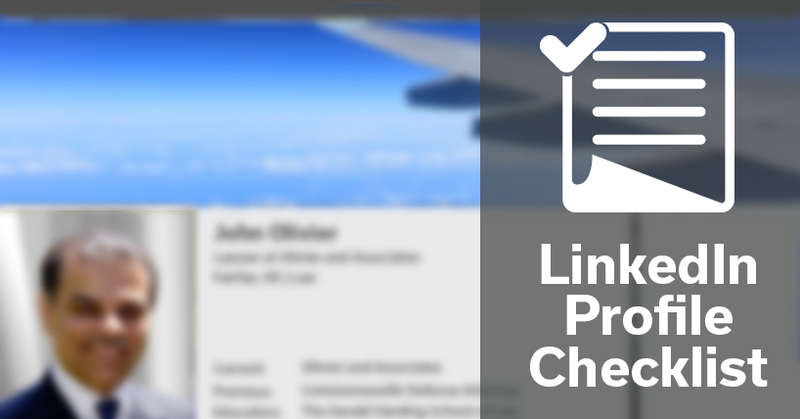 Here is a new version of our checklist, with LinkedIn profile best practices and recommendations. One change you may have noticed is that many parts of the profile are now hidden – you can’t see the details unless you click “more.” As a result, profiles no longer look as empty as they used to. But it’s still worth using all the sections of the profile. The full profile is visible to LinkedIn search, Google and other search engines. If you want to be found, use those sections and incorporate keywords throughout. Use the name people are likely to search on. If people know you as Rich, use Rich rather than Richard. Upload a recent photo, ideally one where you are dressed professionally and have a friendly smile. Let your eyes show (no sunglasses). Position the photo so your head takes up most of the space. Upload a background photo or branded graphic that helps tell your story. The current recommended size is 1536 x 768 pixels (2:1 ratio). Use a descriptive headline that goes beyond your job title. You can communicate what problems you solve, what solutions you offer, or what type of people you help. You have 120 characters – use them to make your profile stand out. Use your summary to let people get a sense of who you are. Write it as if you were talking to them, telling them who you are and what matters to you. Your first sentence is critical. If you begin in an engaging way, they will want to click “see more” to read the rest. Add good introductory materials to your summary, such as a video, PowerPoint, white paper or article. Make it easy for people to take the next step and learn more about you and your business. Show at least 3 jobs, and preferably all jobs for the past 10-15 years. Include a short description of the type of business you worked for, then your role and responsibilities. Include awards and achievements, and quantify accomplishments whenever you can. You can upload materials to any of your jobs as well. Show your education. If you are concerned about your age, remove the dates. Add any volunteer organizations where you participate actively. Add any accomplishments you want to highlight, including honors, awards, publications, certifications, patents, and languages. List the maximum 50 skills. Put the most relevant skills at the top – visitors can only see the first three skills unless they click “see more.” If you are job-seeking, skills are critical. Include skills relevant to your role plus general business and management skills. Create a personalized LinkedIn URL to make it easier to share your profile. Add your business contact information, including email and phone number, links to your company website, blog, and Twitter. 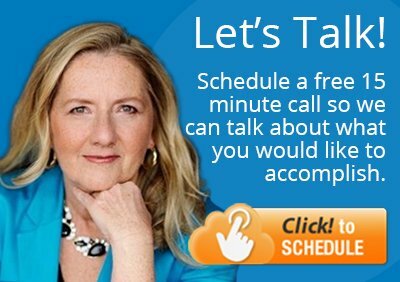 Consider linking to your calendar so people can easily schedule a call. Go back over the profile and see where you can work in keywords. The right keywords will help you be more findable. Try to get at least one recommendation for each of your jobs. The best way to get a recommendation is to give one – so pick 2-3 people you worked with, find them on LinkedIn and submit recommendations for them. You don’t have to ask your boss. You can use a colleague, client or vendor. Set your privacy settings so people can see your full name, your complete profile, and your activity feed. Look at the other options and decide what you are comfortable sharing, keeping in mind that the more open you are, the more people will be able to find your profile.